It’s taken me a while to get this one up between family vacation, the eclipse, and, well…life. But that might be a good thing, because I’ve been learning more and tweaking this post along the way with new information! This is one that I’m REALLY excited to share with you. It’s a subject I’ve been really passionate about lately. Hope you enjoy and learn something along the way! Just for the record, this information is intended for informational purposes only and is based on my own study and personal experience. I’m not a doctor and cannot diagnose or prescribe treatment. If you think you have a medical condition, you should contact your doctor. Hypocrites also said, “All disease begins in the gut.” While it might not be 100% accurate (think genetic anomalies), it’s pretty close! Modern science is starting to look into this theory and is realizing that Hypocrites knew what he was talking about! 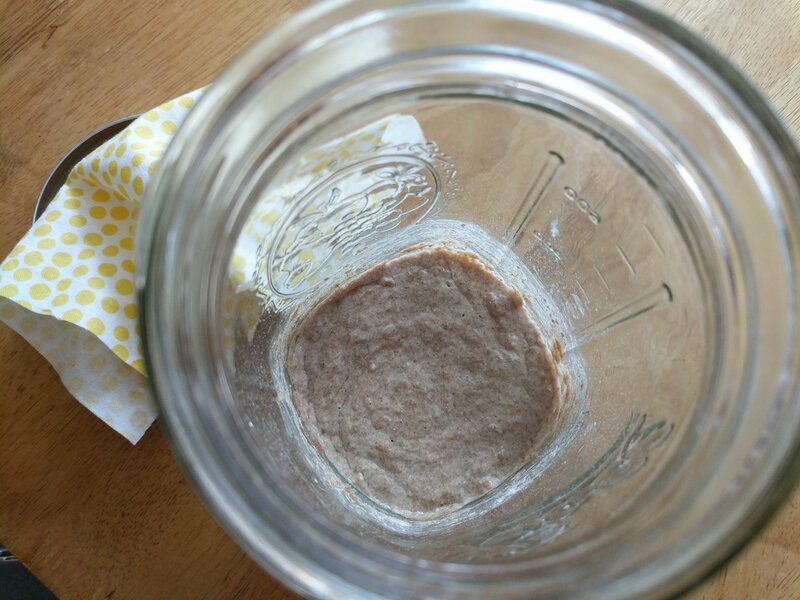 You’ve probably heard the term “probiotic” thrown around a lot more recently. Or maybe you’ve noticed all the gut-related illness that are becoming mainstream these days. It’s very obvious that something is very wrong with our diet and it is devastating our health! So what’s the big deal with gut health anyway? Well, obviously, the gut is where you take in your nutrients and your body absorbs them for use… At least it’s supposed to. If you have an unhealthy gut (which most of us do), you are unable to absorb those nutrients properly. 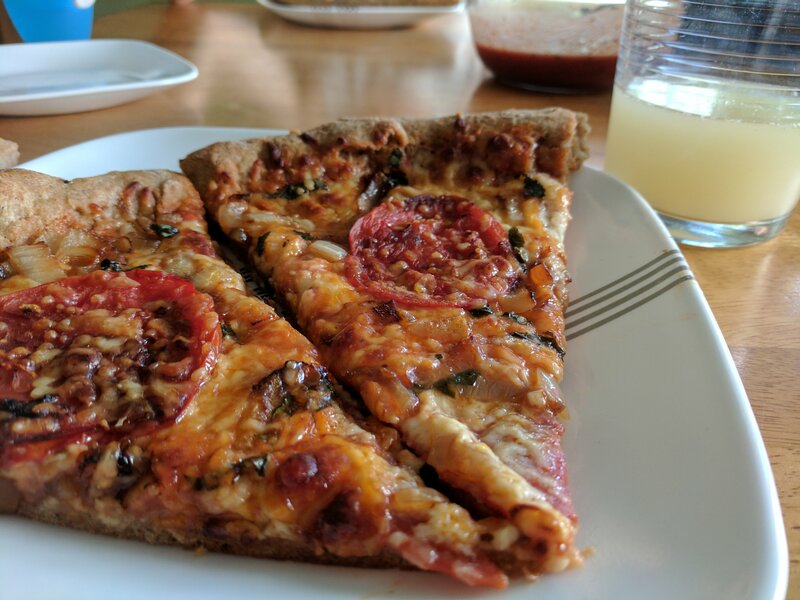 Or worse… the food may be leaking into your blood stream causing horrible digestive issues like food allergies, Crohn’s, or celiac disease (research leaky gut syndrome… For extra credit, educate yourself on how GMOs likely play a HUGE role in these issues). So how can we help make our guts more healthy and positively affect our overall health in the process? Let food be thy medicine! A clean, real-food diet rich in probiotics is key (at least one key)! Enter probiotics. Probiotics and prebiotics (which are food for the probiotics) are good, beneficial bacteria that keep the bad bacteria under control and aid your body in detoxing. It’s like a balancing act in your gut. 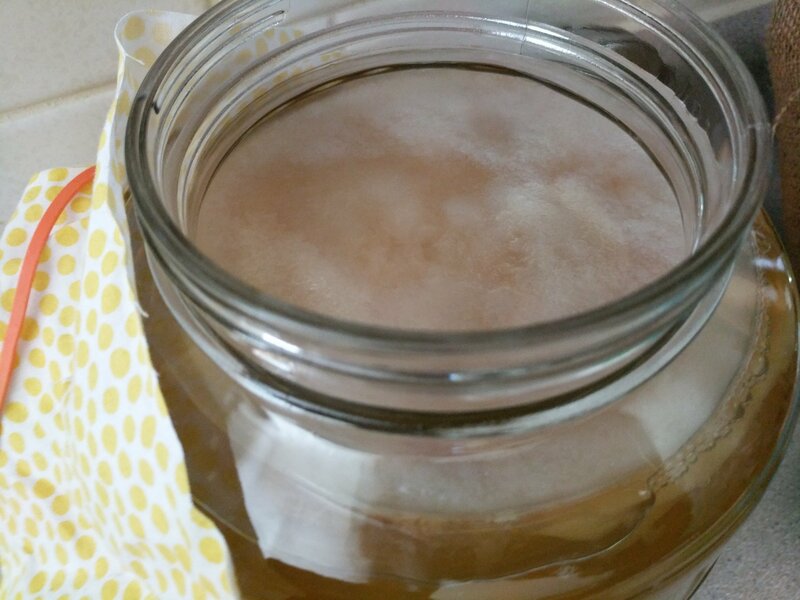 Kombucha and water kefir. 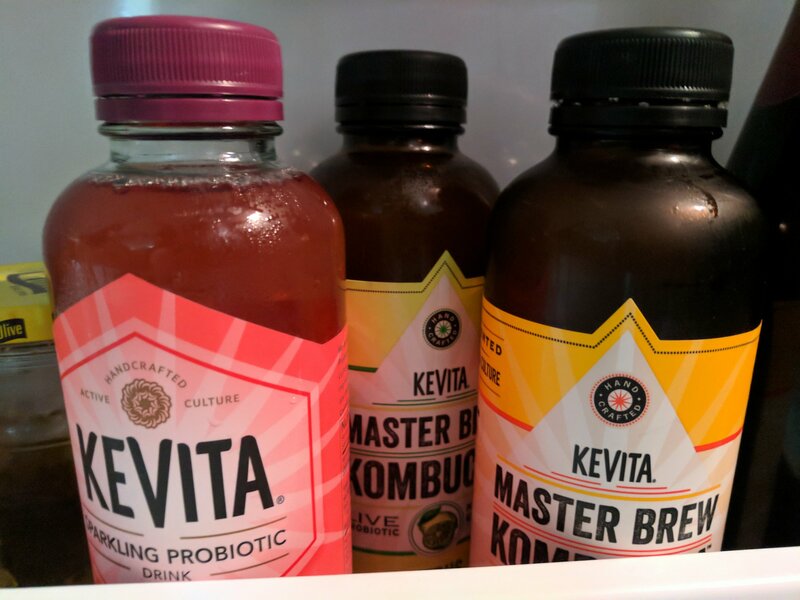 Our favorite kombucha brand is GT’s, but this brand isn’t bad. That’s the best illustration I’ve read. Hopefully i this helps you see why it’s important to be consuming many beneficial bacteria in your diet. So where do we get all those good guys? From our food. Namely, fermented foods. No, that is not a bad word or taboo. And no, alcoholic beverages are not the only things that are fermented. 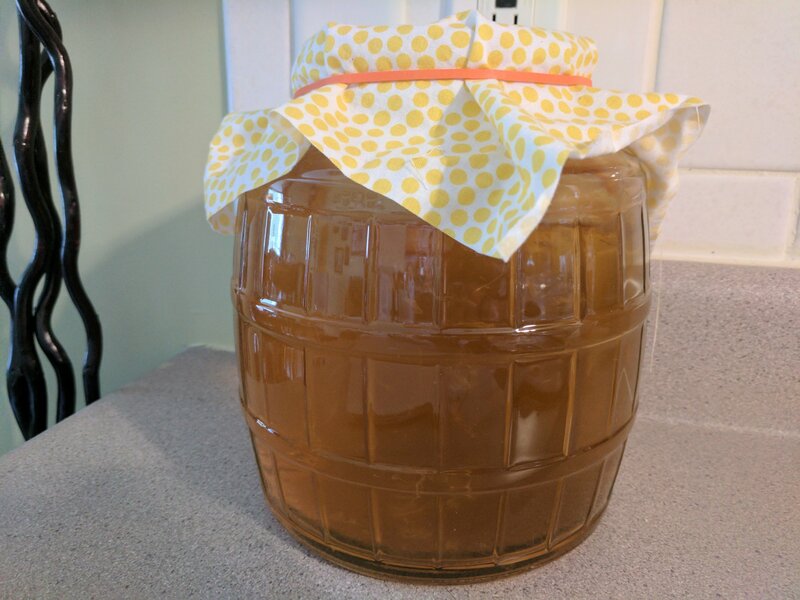 Fermentation is simply a method of preparing foods that is very good for our bodies that isn’t very popular in our culture anymore (many other cultures still consume large amounts of fermented foods regularly). This is perhaps one reason why we have become so unhealthy… Because we don’t regularly eat these foods. Good bacteria have to build up over time, and they must be continually supplied to keep the “parking spaces” full of good guys, which is why they need to be part of your normal diet. I encourage you to give it a try and see how different you feel. We use several of the above-mentioned foods in our regular diets. My son also takes a probiotic supplement, and he tends to avoid catching most of the “bugs” he comes in contact with. I’ve also noticed my immune system doing better since incorporating these probiotic-rich foods. 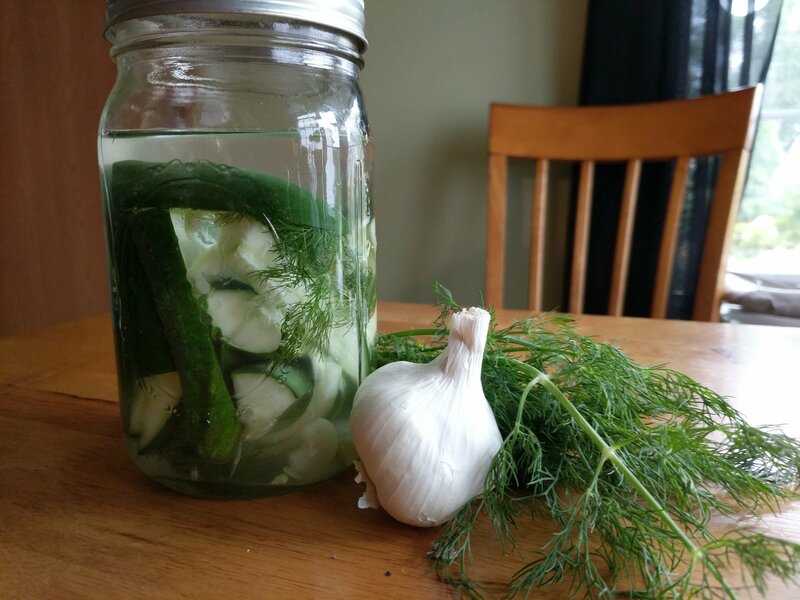 When I start feeling a cold coming on (or when my son starts showing symptoms), I up the probiotic intake (along with some herbs) and the next day we’re feeling better. If I do get sick, it only lasts a few days. (Usually I catch every cold that is going around and it takes well over a week for me to fight it!) Interesting to note, when I don’t have any of these foods for a few days, my gut becomes very sluggish, I get stomach aches, and I feel kind of “blah” all over. So what about you? Do you eat probiotics? What differences have you noticed in your health? If you don’t currently eat probiotics, have I piqued you interest enough to add them to your diet? Where will you start? Let me know in the comments below!